Like soccer, basketball is a sport whose efforts can't be measured using traditional running metrics. There's jumping to take into account—hang time—as well as soccer's sprints and changes of direction. A normal Nike+ setup just wasn't going to cut it. 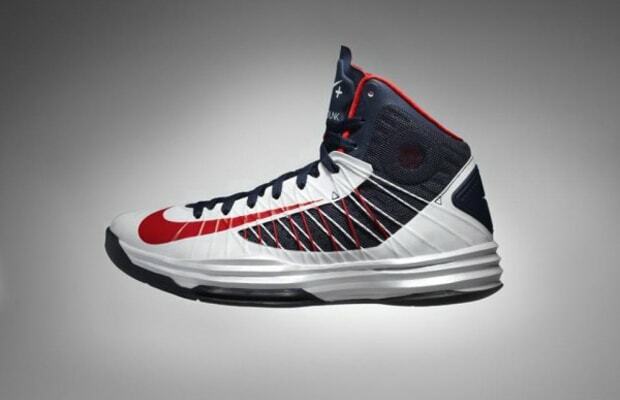 So for the 2012 Olympics, Nike introduced Nike+ Basketball via the Hyperdunk+, a $250 system that essentially shrinks the Beaverton sports lab down small enough to fit into your shoes. A series of three sensors measure everything from your vertical—highest jump, average jump, number of jumps per game—as well as steps per second and number of sprints. All of which is wirelessly transmitted to your phone so you can brag about it (or cry about it) later.